Hardwood or softwood - what is the difference? Hardwood or softwood – what is the difference? Unless you're in the flooring industry, there are always going to be unfamiliar terms when you decide to invest in a timber floor. While you don't have to know what phrases such as 'bird's eye', 'cross grain' and 'diamonding' mean, it is important that you have a small understanding of what your looking to purchase. Two words that you'll come across are 'hardwood' and 'softwood'. At Sydney Flooring, one of the first questions you'll face is which type of wood you'd prefer in your home. However, how do you make this decision without knowing the difference between the two? Well, let us tell you how to become a timber expert! Timbers are defined as either hardwood or softwood based on what type of tree they originate from. 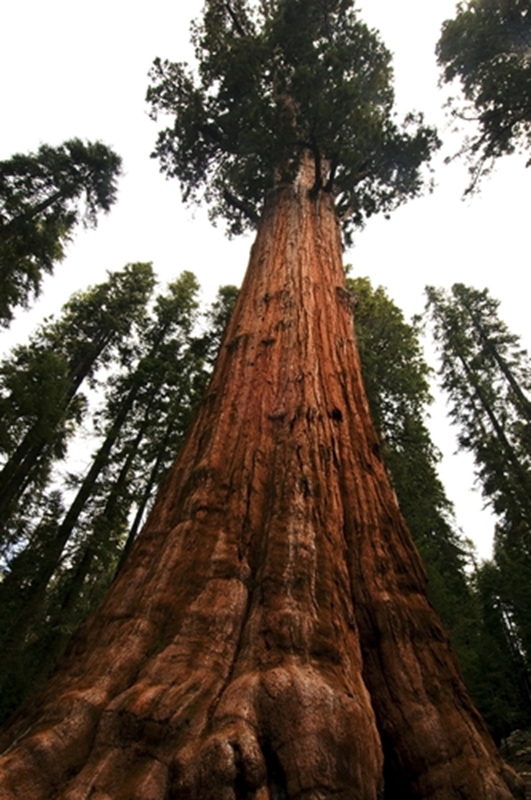 Redwood is a great example of a hardwood. Trees from the angiosperms family or flowering plants are known as hardwood. This includes beech, balsa, oak and maple. If you are walking through a forest, hardwood trees are the ones that can produce flowers and fruit, depending on the time of the year. On the other hand, trees from the gymnosperms family are known as softwood. This includes pine, redwood, cedar and juniper. In contrast to their hardwood counterparts, softwood trees don't produce flowers or fruit. Softwood trees will have seeds on their leaves or scales as well. If you followed that, you'll well on your way to becoming a timber expert! This said, there are more differences between the two types than their origin – particularly how they will look and integrate into your home. For centuries, hardwood timber has been used for flooring around the world. As it's easy to install and always looks great, hardwood timber floors are an excellent choice in most Sydney homes. One of hardwood timber's greatest benefits is its strength and durability – as the name suggests. In areas of your home where there is a lot of foot traffic or high stress, it will stand up to the test every time. With this in mind, it's also very easy to clean and maintain. All you will have to do is vacuum and mop it regularly (as you probably do already!) and the hardwood floor will continue to shine for years to come. For these reasons and more, hardwood floors are a great long-term investment and will help to raise the value of your property. Of course, softwood floors are just as good. Again, the name of softwood flooring is synonymous with its more rustic appearance and lighter composition than the hardwood alternative. It is important to remember that it is still as durable and strong as hardwood, but will ultimately look and feel a little different. One of the biggest variants is the end price. Softwoods are usually a little cheaper than hardwoods and could be considered if you're on a tight budget or have a larger space to cover. What type of timber you want: This includes the various colour variations, grades and sizes. What space you want the floor in: Whether high use areas such as kitchens and hallways or quieter areas like guestrooms and garages. What your budget is: As mentioned above, hardwood floors are slightly more expensive than softwood versions. If you would like more information about selecting the right hardwood or softwood timber in your home, feel free to get in touch with our team at Sydney Flooring today – we look forward to hearing from you. Could timber flooring enhance your guest bedroom?